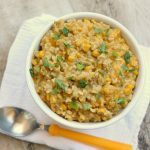 Slow Cooker Recipe for Cheesy Green Sauce Enchilada Brown Rice: this crockpot side dish is good enough to be a main dish! 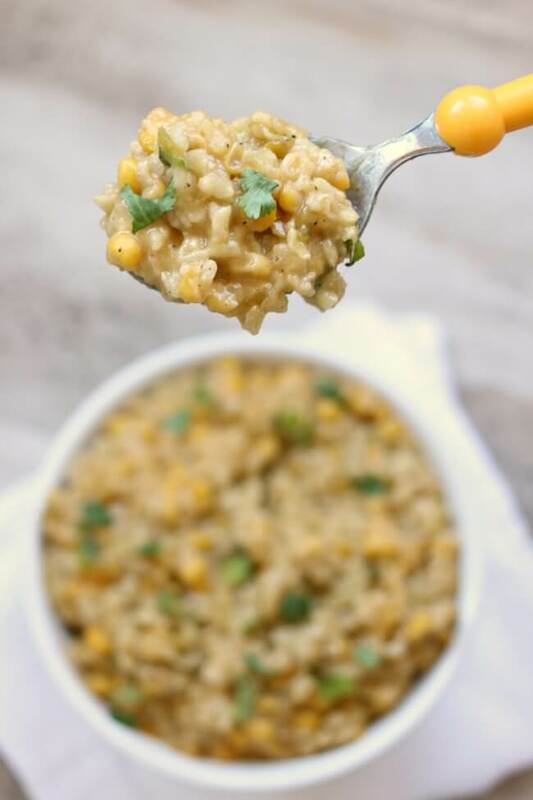 Creamy and cheesy rice and corn that’s almost risotto-like with just a little kick of flavor thanks to green enchilada sauce and green chiles. 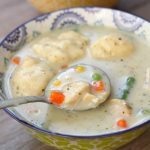 Updated 6/6/17–I just updated this post with 2 versions of this recipe. The first recipe has green enchilada sauce and corn and the second version used red enchilada sauce and black beans. Keep scrolling down to see both versions of the recipe. 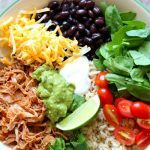 I love making brown rice in the slow cooker and better yet brown rice that is packed with delicious southwestern flare. 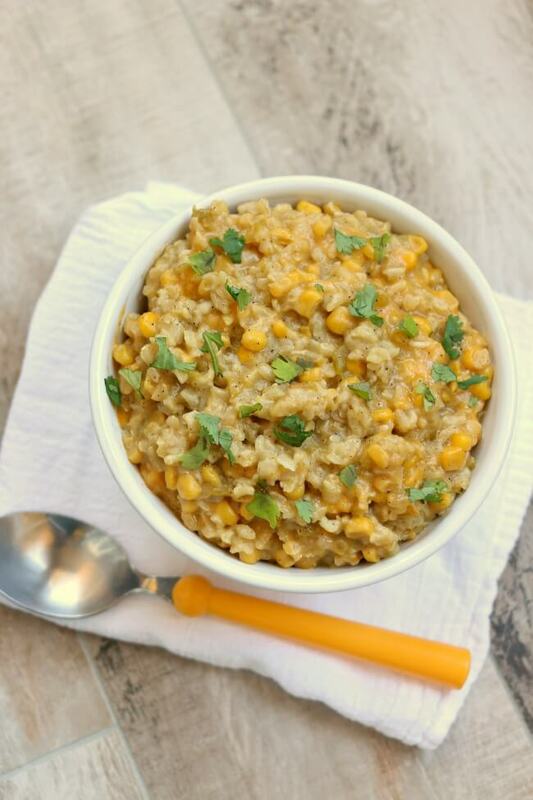 The brown rice simmers in a can of green enchilada sauce and the rice gets infused with that enchilada flavor. I added a can of corn for a texture and some green chiles for more flavor. Of course when the rice was cooked through I stirred in grated cheddar cheese and a little bit of lime juice to brighten it up. I ate my bowl of rice with some leftover rotisserie chicken and it was a nice little meal. My avocados weren’t ripe when I ate my rice but I think sliced avocados would be perfect with this rice. 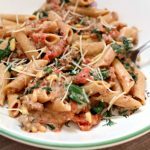 Love using your slow cooker in the summer? 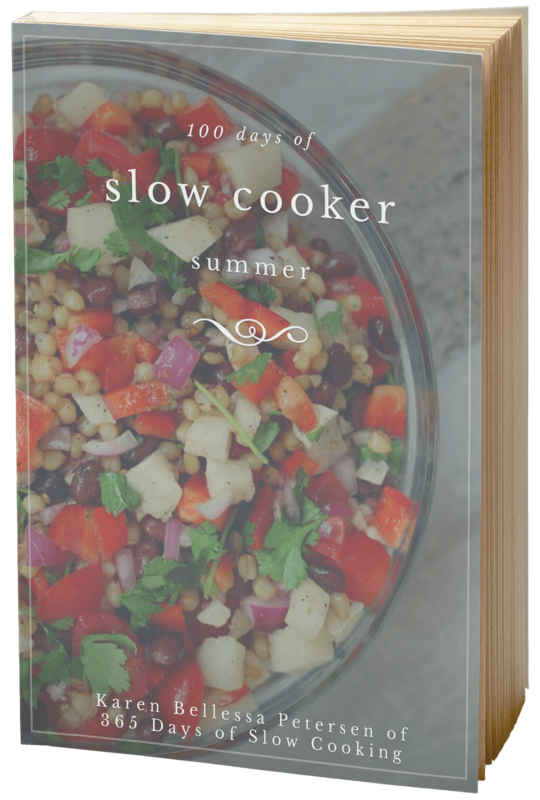 Get my e-book 100 Days of Slow Cooker Summer now and stay cool this summer and still eat delicious dinners every night. With over 100 recipes, all with pictures, you’ll be set for dinner planning. View the entire table of contents and get a sneak peak inside the book here. Buy it now for only $5.00! 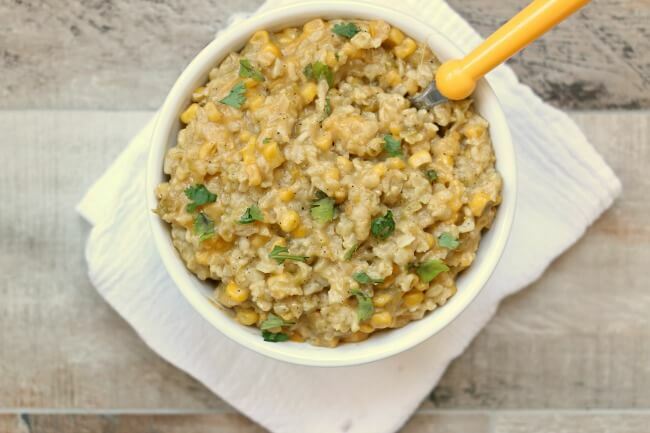 Want more awesome crockpot side dish ideas? I made this Cheesy Enchilada Rice in my 3 quart Hamilton Beach Slow Cooker. 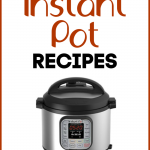 The best thing about this slow cooker is that it cooks evenly and it is so inexpensive. I like to use it to cook desserts and side dishes. Add rice, water, enchilada sauce, chiles, corn, garlic powder, cumin, salt and pepper to slow cooker. Cover and cook on high for 3-4 hours, or until rice is soft and cooked through. (Mine cooked for 3 hours and 48 minutes). Stir in cheddar and lime juice. Add extra seasonings to taste, if needed. Serve rice with desired toppings. 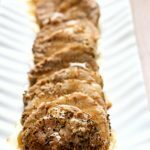 I used my 3 quart slow cooker for this recipe. I find that filling your slow cooker at least 2/3 full is the best way for slow cooker recipes to work out. I like this slow cooker from hamilton beach. 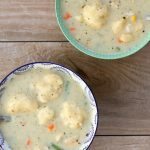 Here is another version of this recipe! This one has black beans instead of corn and I used a can of red enchilada sauce instead of green enchilada sauce. Both recipes are good and I think it’s just a matter of personal preference. 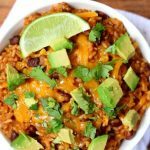 Brown rice is slow cooked with enchilada sauce, beans and spices and then topped with sharp cheddar, diced avocado and a wedge of lime. Add rice, water, enchilada sauce, black beans, cumin, salt, pepper and garlic powder to slow cooker. Cover and cook on high for 3-4 hours, or until rice is cooked through and tender. Remove the lid and stir in the lime juice and cheddar. Salt and pepper to taste. Serve rice topped with diced avocado, sour cream, lime wedge and cilantro. This post contains affiliate links for Amazon. Each time you purchase something from Amazon that I’ve linked to I get a few pennies at no cost to you. Thanks so much for supporting my blog! I use instant rice will it cook the same? No it will take less time, although I can’t say exactly how much less. In doubling recipe do u have to cook extra time? Maybe for a little bit but it won’t affect it significantly! We had this the other night. It was delicious with no leftovers. A perfect addition to our Taco Tuesday Night! Hi Jill, I hope that I can help! The slow cooker is a great appliance that will quickly grow on you. The recipes are typically simple and they free up your time too. Thanks for visiting!